The second most asked question by those considering a real estate investment in Mexico is, “How is the medical care in Mexico?” (For more information surrounding the most asked question, see Can I actually OWN real estate in Mexico?) The best answer is the only difference in the medical care you have at home and the medical care in Mexico is that our costs are a fraction of what you pay back home. I have a local physician for general care and a dermatologist for semi-annual treatment. My primary physician makes house calls and I have his cell phone number! I have also established a relationship with Amerimed and St. Luke’s hospitals in case of an emergency. Each has a hospital in both San Lucas and San José. 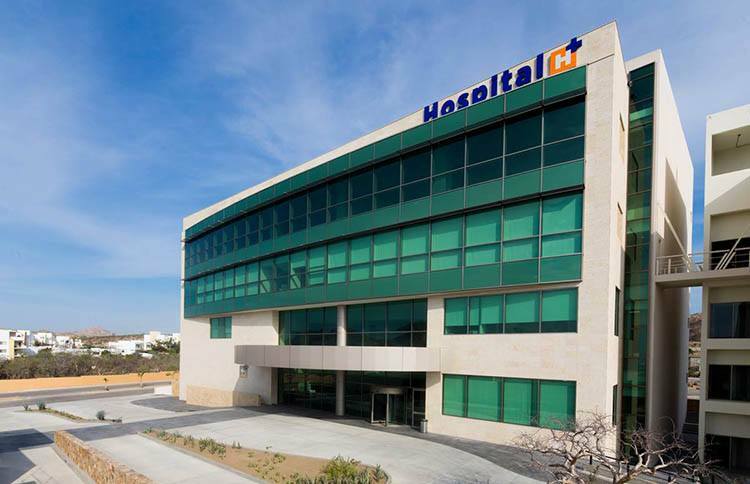 The most recent development in medical care in Mexico is the opening of the H+ Hospital in San José del Cabo. With extensive experience in healthcare, the H+ Group provides solutions for all health care needs and works in partnership with many national and international insurance companies. This new facility provides highly trained, qualified personnel with the latest, state-of-the-art medical technology providing patients with competent, knowledgeable and proficient medical care in Mexico. H+ Hospital is a new, three-floor facility offering single patient rooms and suites, a full pharmacy, pre-op, clinical laboratory, blood bank, recovery area and surgical post-op areas. The latest technology and 70 doctors from all over Mexico provide specialty care including 24/7 ambulance, cardiology, obstetrics, orthopedics and pediatrics. Three operating rooms, labor and delivery room, an endoscopic procedures room and an Emergency Room with intensive care unit, a neonatal intensive therapy and newborn care facilities provide expatriates the finest medical care in Mexico. Most doctors providing medical care in Mexico are fluent in English and received part, if not all, of their training in the US or Canada. On average, a visit to the doctor will cost 500 to 750 pesos, about $35 to $50. Laboratory and pharmaceutical costs are typically a fraction of the costs in the US. Many companies underwrite medical coverage in Mexico and most doctors and medical facilities in Mexico accept US insurance. For those who live away from their home country more than six months per year, it is recommended you acquire international medical coverage. If you are considering a full or part-time relocation to Mexico, or have further questions concerning the availability and quality of medical care in Mexico, feel free to contact me at your convenience.